I so need an early night. I am still having issues with blogging and cannot work it out why!!! lots of grrrrr moments. I am sharing a few cuties we made for our stand display. I had a day's creating with two ladies in my team last week and we made a few cuties. 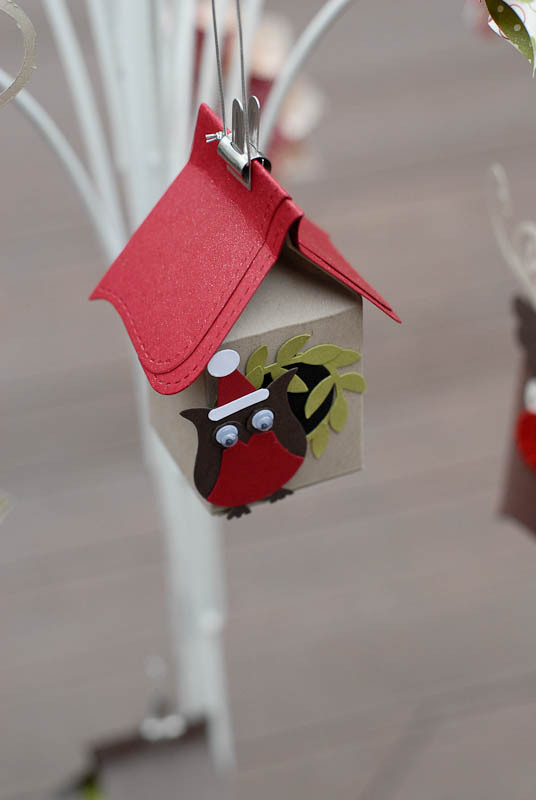 Bird houses are so easy to make using the mini milk carton and Big Shot and they are sooo lovely. The stand took us ages to finish off yesterday and at one point we thought we would never get to go home. Is funny as we got the setting up job to a fine art now but we always take AGES fiddling with arranging the samples and making everything look the way we think it should. Is a standing joke now between ourselves and our neighbours as they usually arrive after us, have to build their stand then literally put out thousands and thousands £ worth of merchandise and still manage to leave 2 hours before we do LOL. I will be taking a video of the stand and post on here on monday after I got up at around midday. I am so tired so I will get off. I bet the stand looks fabulous - I love the little bird houses. Hope you enjoy the day tomorrow too. 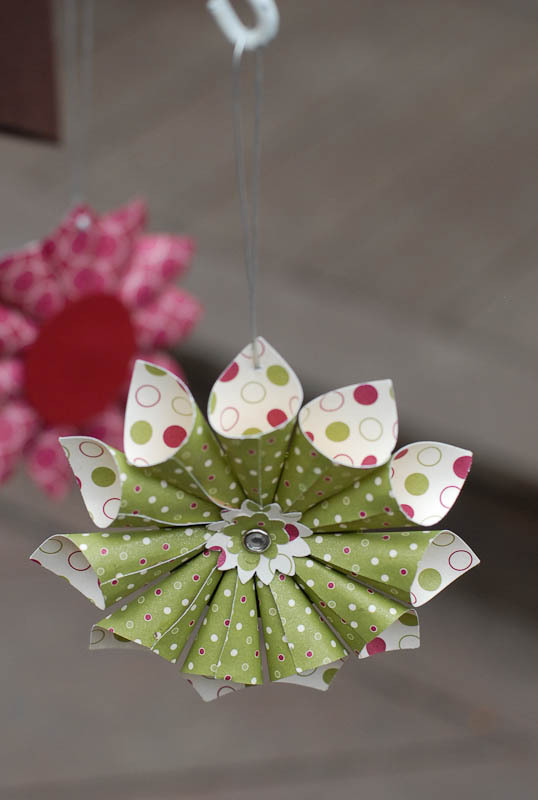 this looks so fun & fabulous; so glad I found yr blog quite some time ago; you are so uplifting & talented! 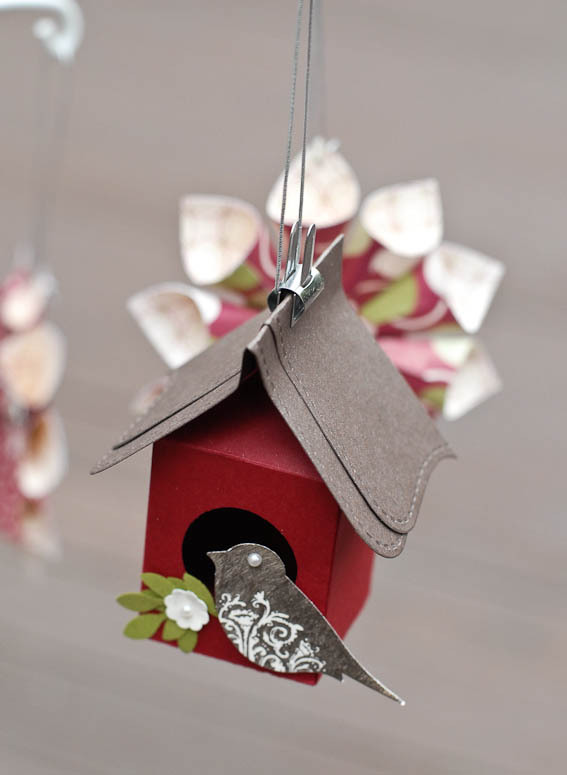 Wonderful projects Monica..love the little birdie house. LOL!!! 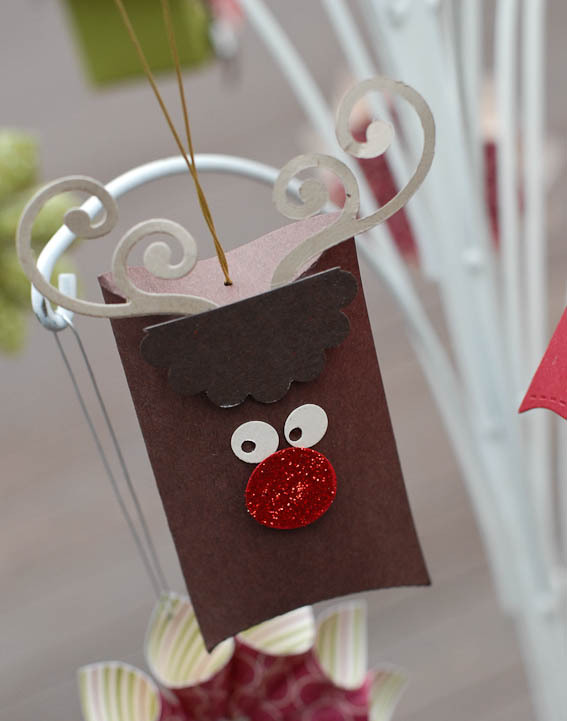 All of your creations are adorable, but my favorite is the reindeer. Definitely making one for my niece who is away at college.